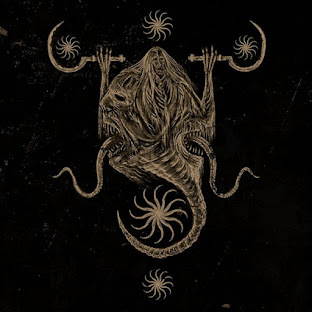 The Lair of Filth: Filthy Music Review - Temple Nightside - The Hecatomb. 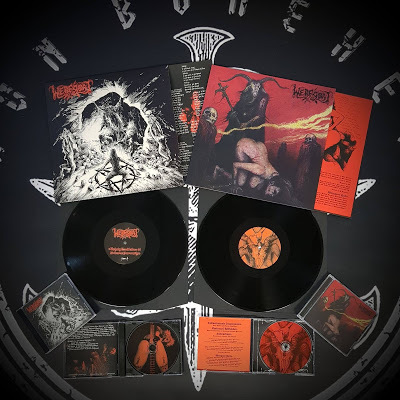 This Summer will bring new music from Temple Nightside as they are set to bring us their highly anticipated second full length album, ‘The Hecatomb,’ due to be released on LP and CD via Iron Bonehead Productions on the 5th of August. 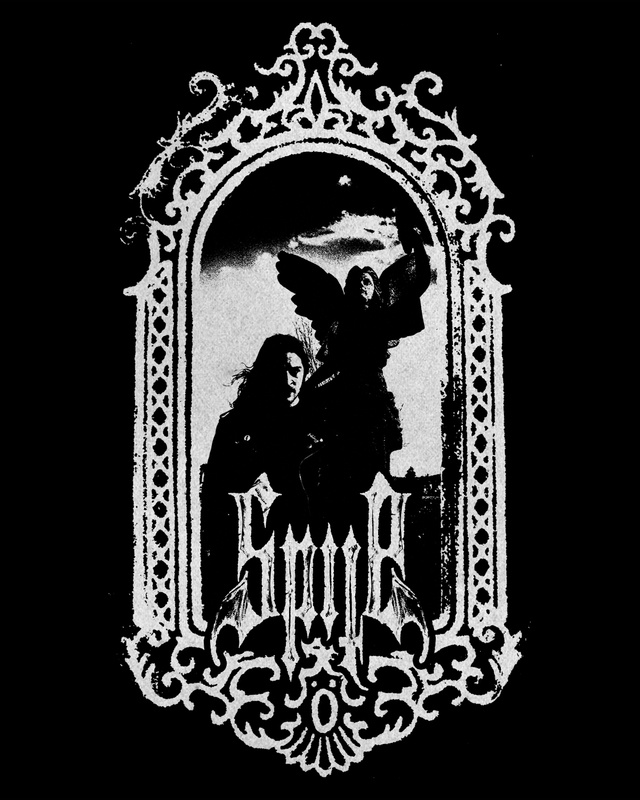 Temple Nightside was formed in Australia as a two piece during 2010 and brought us the excellent ‘Prophecies of Malevolence’ demo in 2011. 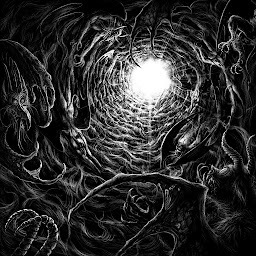 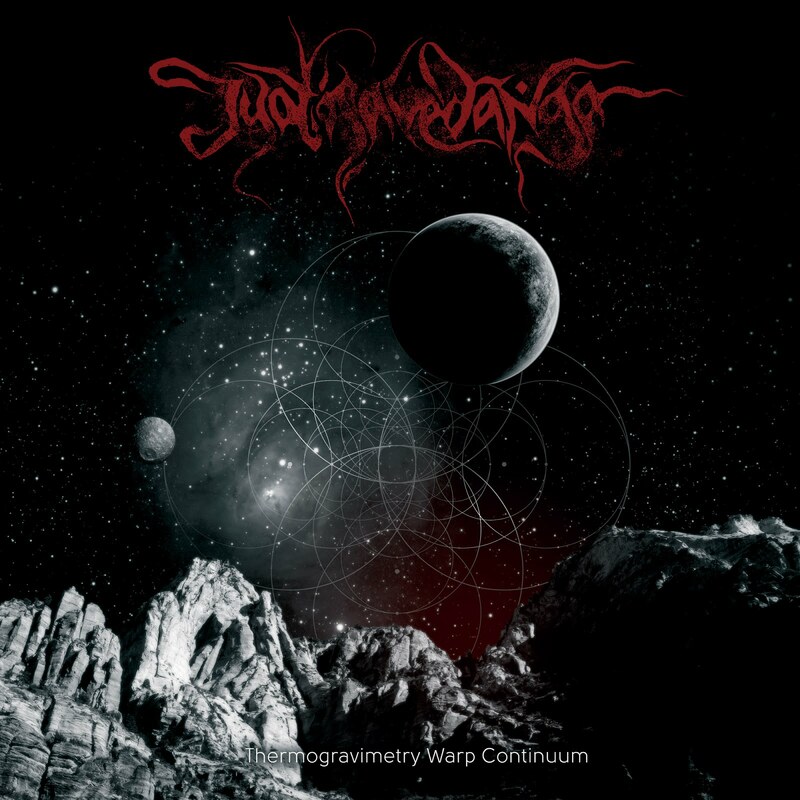 This was followed in 2012 with another stunning track on the ‘Cogitating Vacuous’ 7” split EP which they shared with Antediluvian. 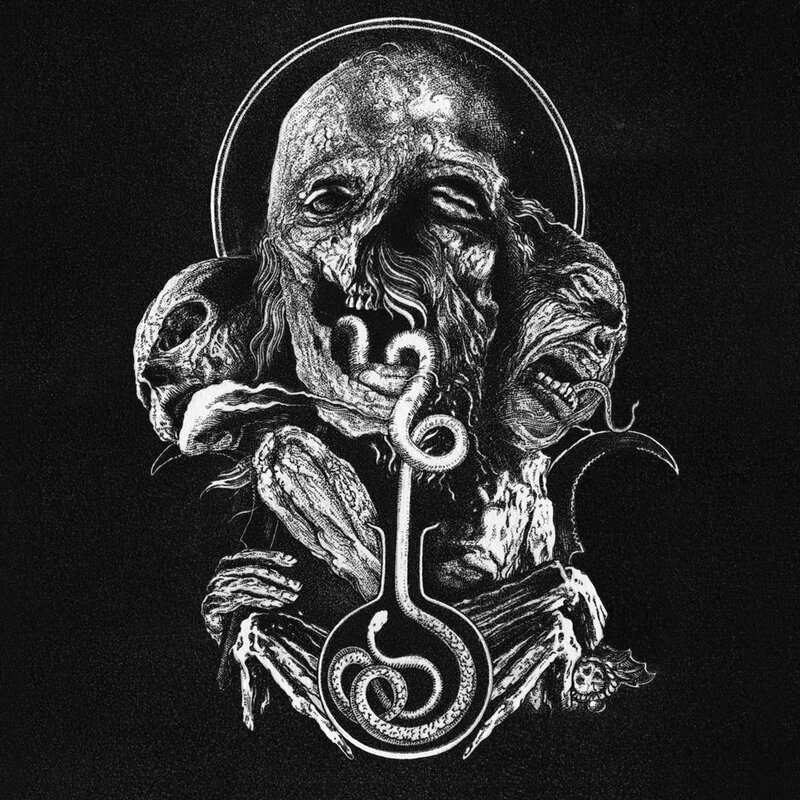 In 2013 Temple Nightside released their debut full length album ‘Condemnation’ which was another standard setting masterpiece within the underground. Aside from the previously mentioned split with Vassafor their only other release since 'Condemnation' was a ltd. cassette box-set released last year by Iron Bonehead Productions. 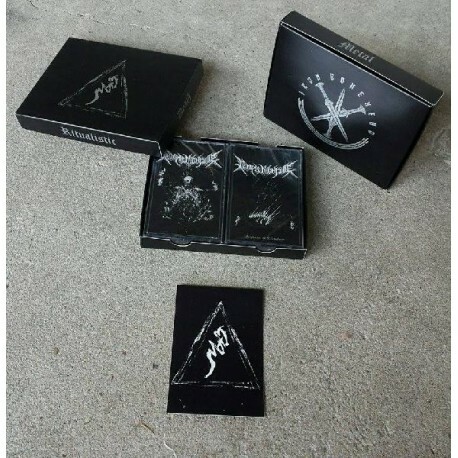 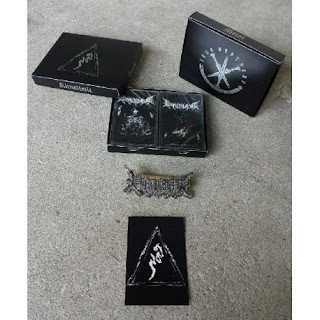 This set consisted of two cassettes; one featuring the ‘Prophecies of Malevolence’ demo and the other featuring the 'Condemnation' album; 200 were released with a sticker and a further 100 were released as die-hard versions which also featured a metal pin – both are highly recommended, still available from Iron Bonehead Productions and are pictured below. 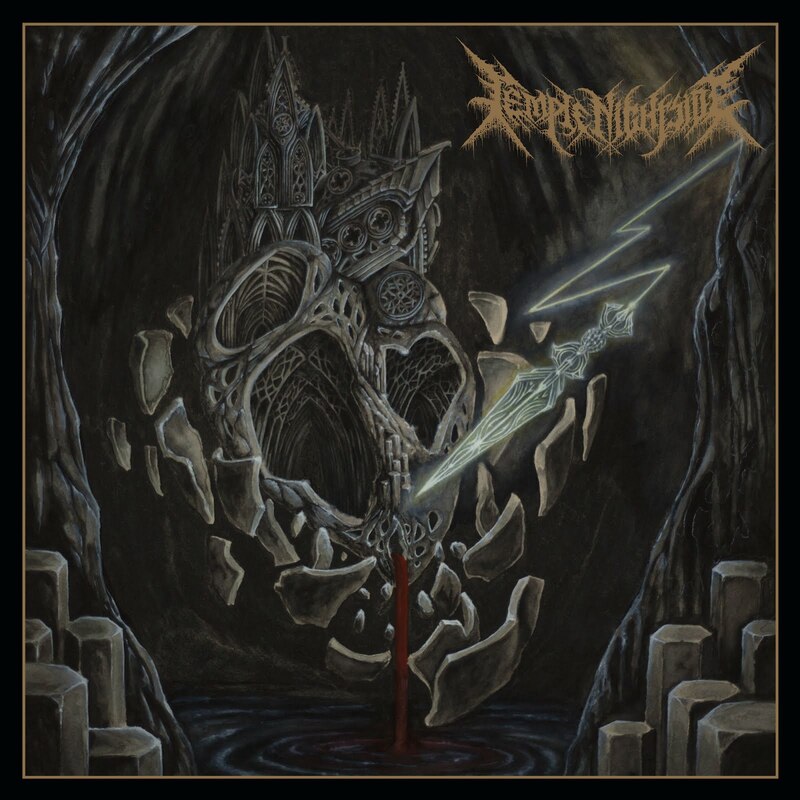 From inception until the release of ‘Condemnation’ Temple Nightside remained a two piece with Basilysk performing drums and IV performing guitar, bass, vocals and keyboards. 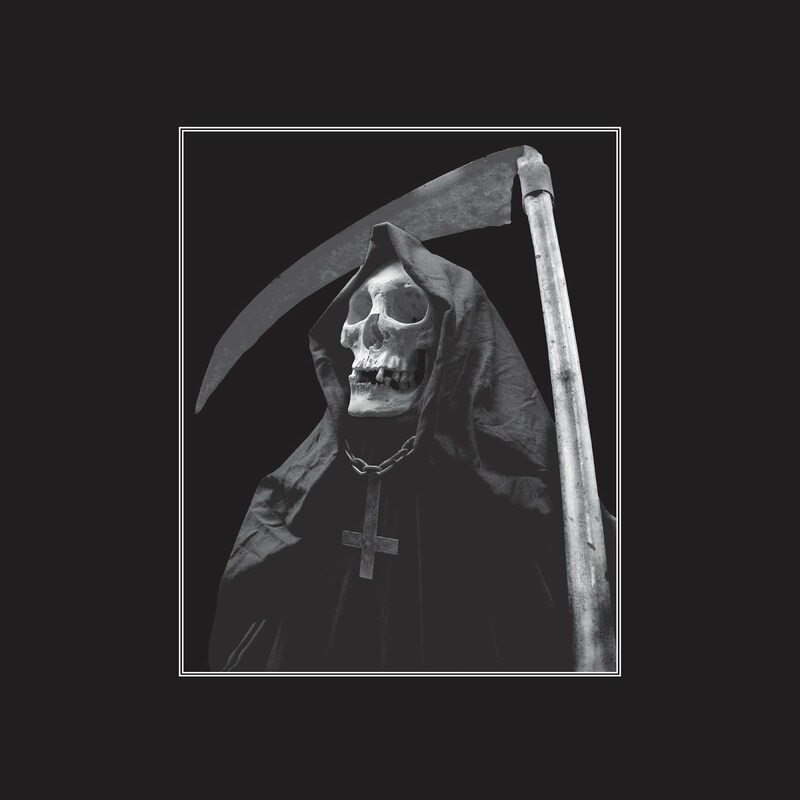 By the time their tracks for the ‘Call of the Maelstrom’ LP were recorded Temple Nightside had a different drummer in the form of Mordance and their membership had expanded to three with the addition of BR on guitar and vocals. As stated ‘Call of the Maelstrom’ was a sterling release but what else could you expect when you consider the artists performing with the band at that time. 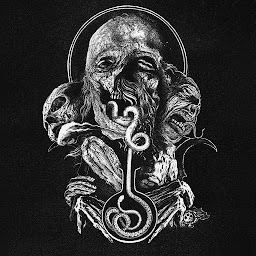 Founding member IV is also the sole member of Black Metal band Ill Omen, currently plays in Nazxul and has previously played in a number of groups such as Funeral Mourning and Perdition Oracle. 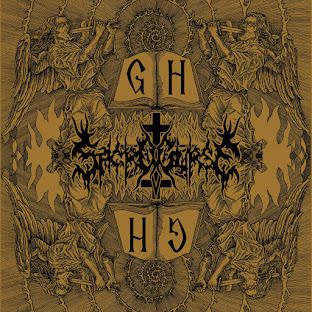 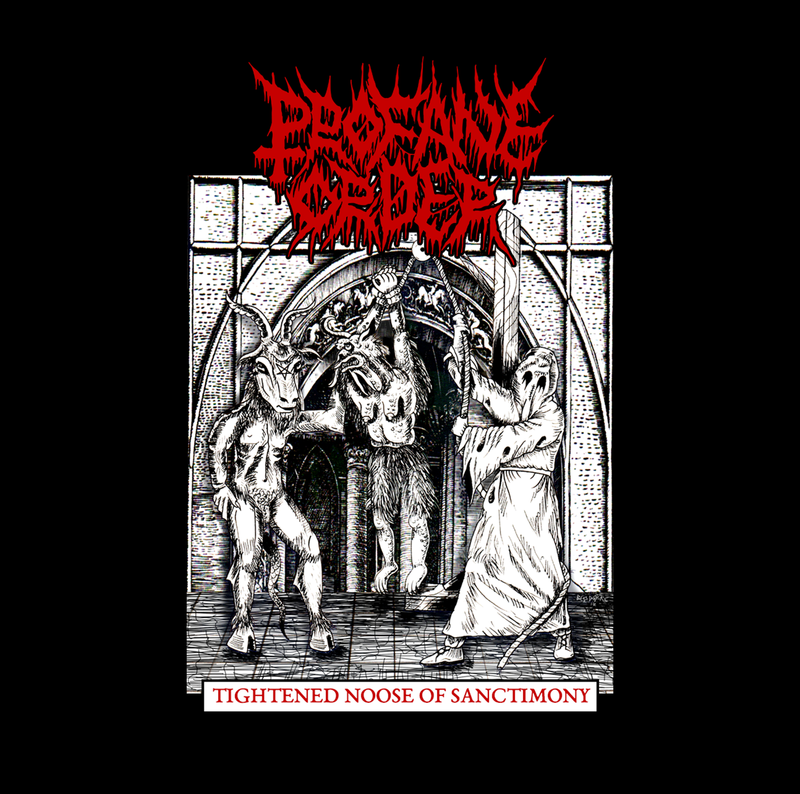 Their drummer Mordance also plays in Impetuous Ritual and Vesicant and is also the sole member of Paroxysmal Descent and latest guitarist BR is currently a member of Grave Upheaval and also performed bass on Heresiarch’s fantastic Wælwulf 7” EP. 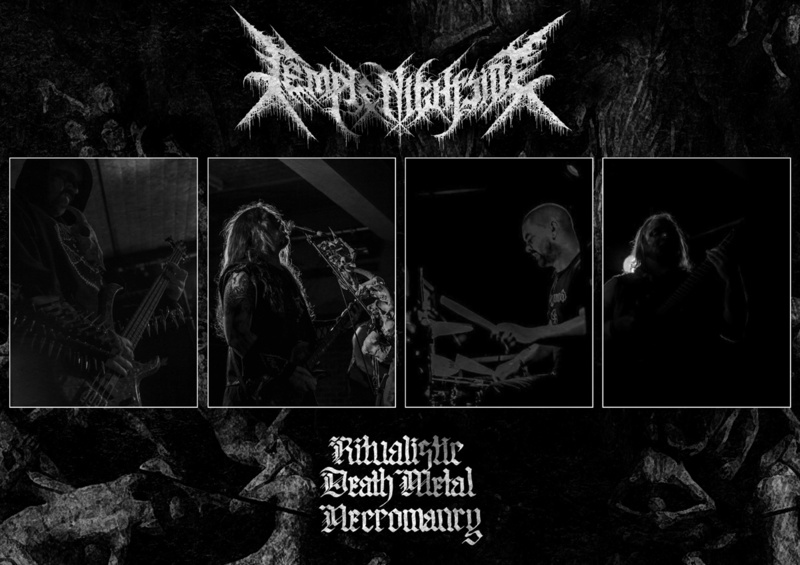 As if the caliber of these musicians wasn't enough Temple Nightside has now expanded to a four piece with VK from Vassafor performing bass. 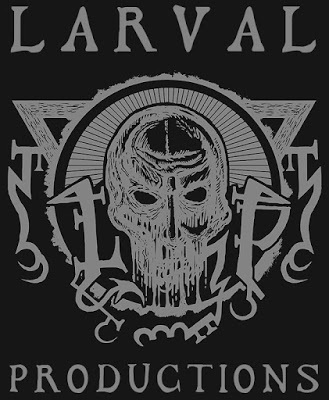 VK has been associated with Temple Nightside for quite a while now, playing bass live for the band but is now a regular full-time member. 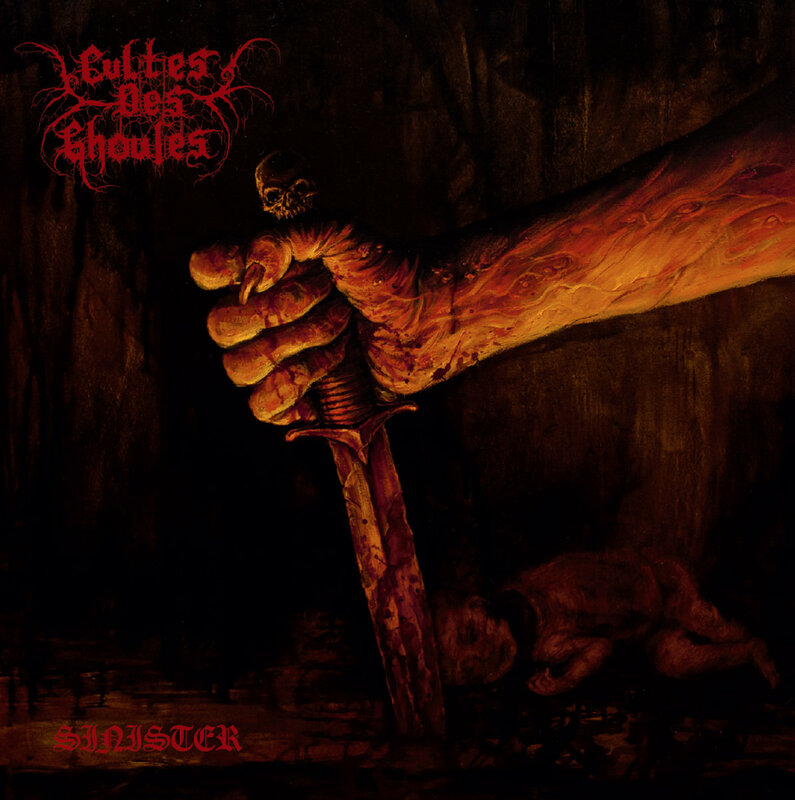 As with the other band members VK’s influence and experience within the underground is massive – currently playing for Vassafor, Terror Oath and Temple Nightside he also plays live for Blasphemy amongst other bands and in the past has played for bands such as Diocletian, Sinistrous Diabolus and Ulcerate. 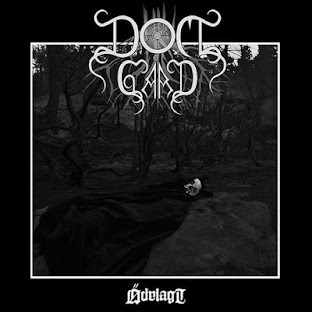 He also has extensive experience in the studio, mixing and/or mastering for too many bands to mention but including Qrixkuor, Irkallian Oracle, Paroxsihzem, Khthoniik Cerviiks and Ifrinn. 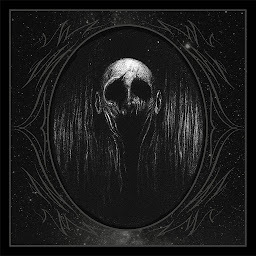 Seven minute opener ‘Graven’ drags you into an abyss of atmospheric eeriness and musical suffocation from the first few notes and from this abyss you’ll not fully escape until the album’s conclusion. 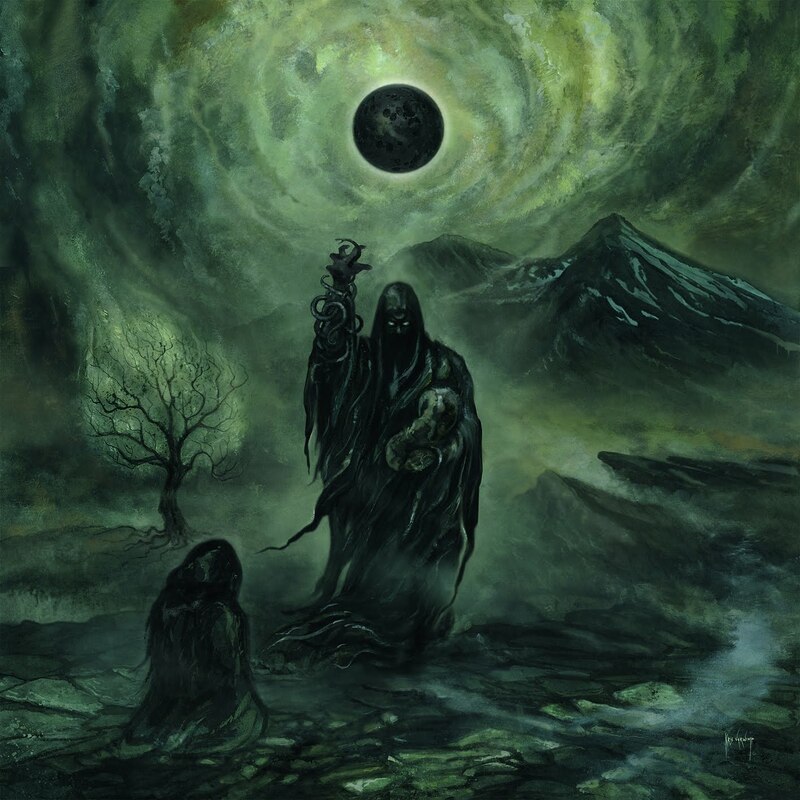 ‘Graven’ is a perfect start and gives a nice taster as to what to expect from the rest of the album, starting with a slow and eerie atmosphere before a bestial Death Metal section kicks in which then reverts back to its dense fog-like beginnings before a final Death Metal skirmish at the track's conclusion. 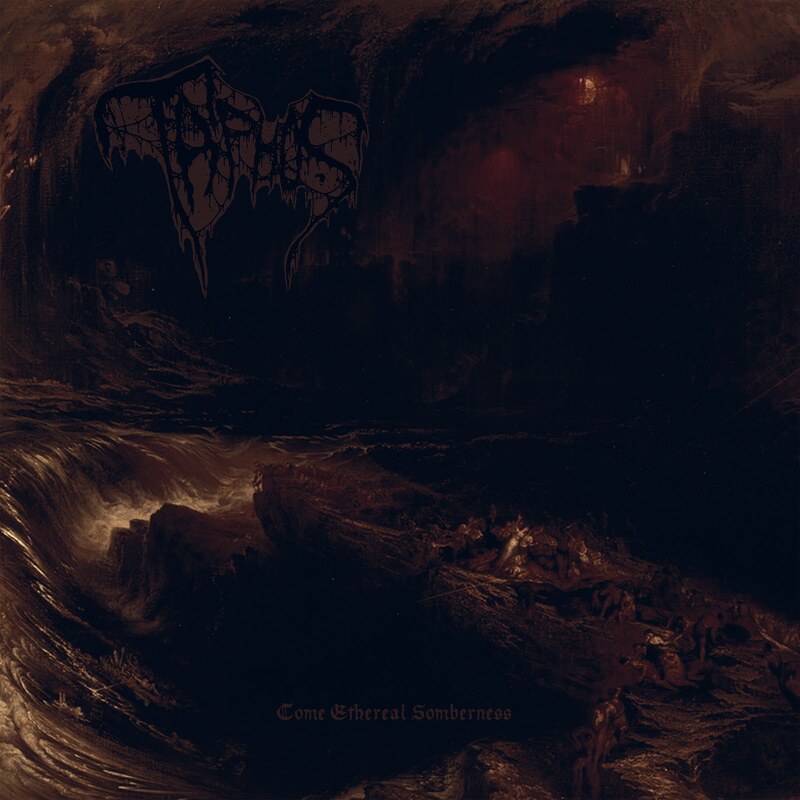 Atmospherics have always been at the centre of Temple Nightside’s music and the continuation of this trait is apparent throughout 'The Hecatomb.' 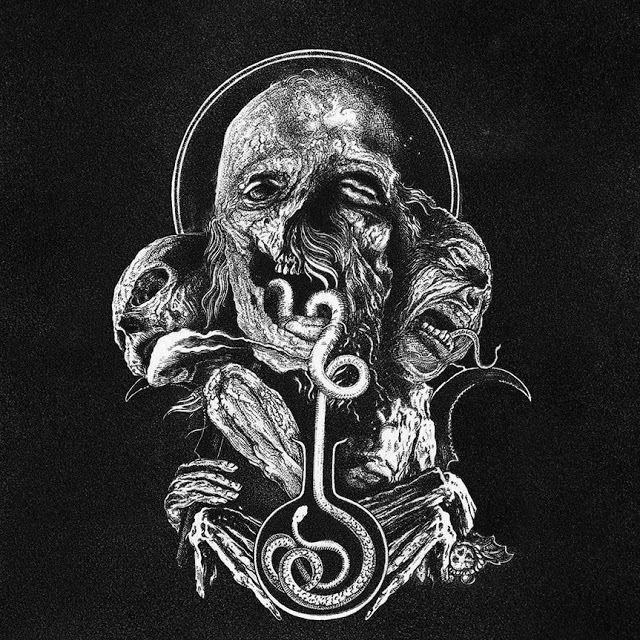 IV’s vocal bleeds oppression and malevolence as always, accentuating the atmosphere as and when necessary with seething menace. 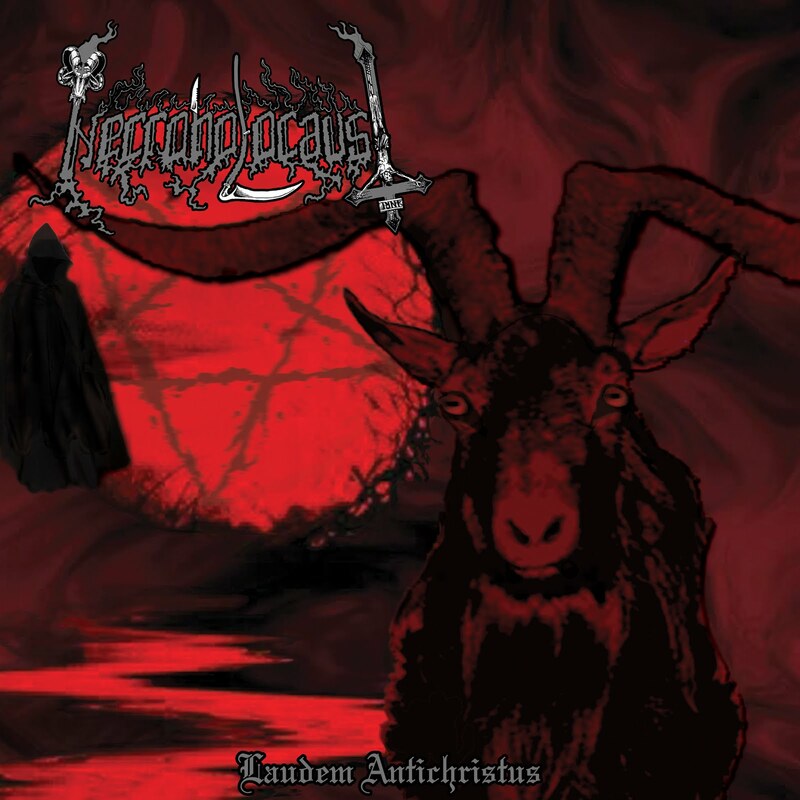 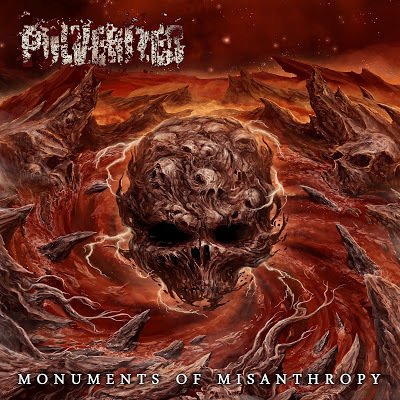 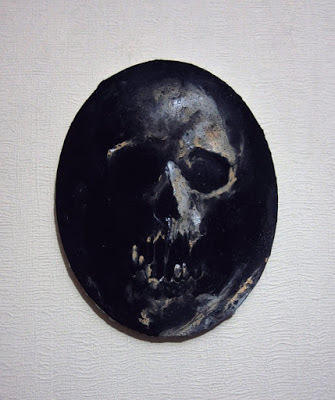 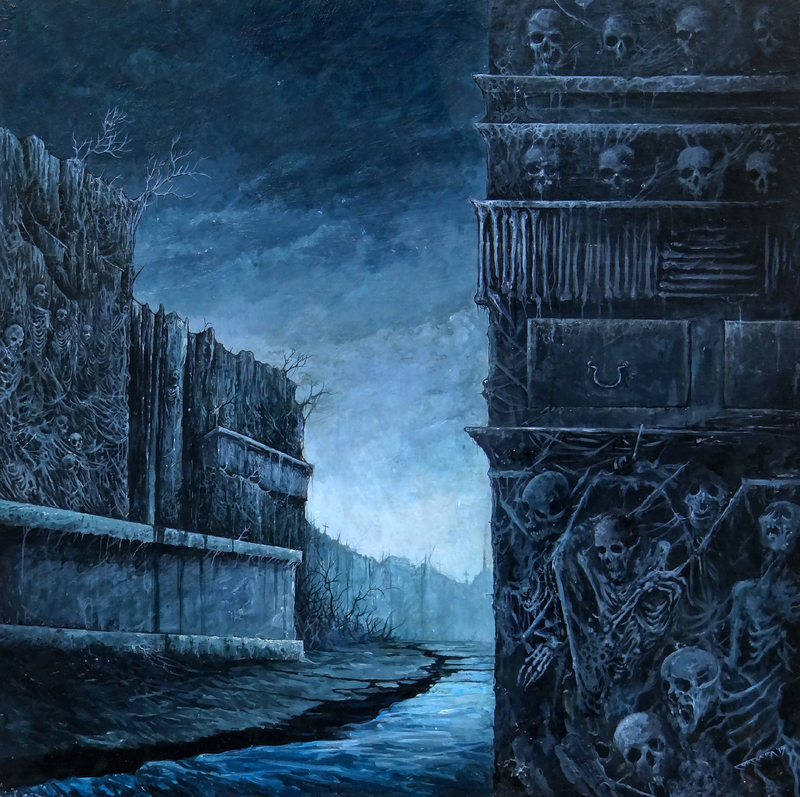 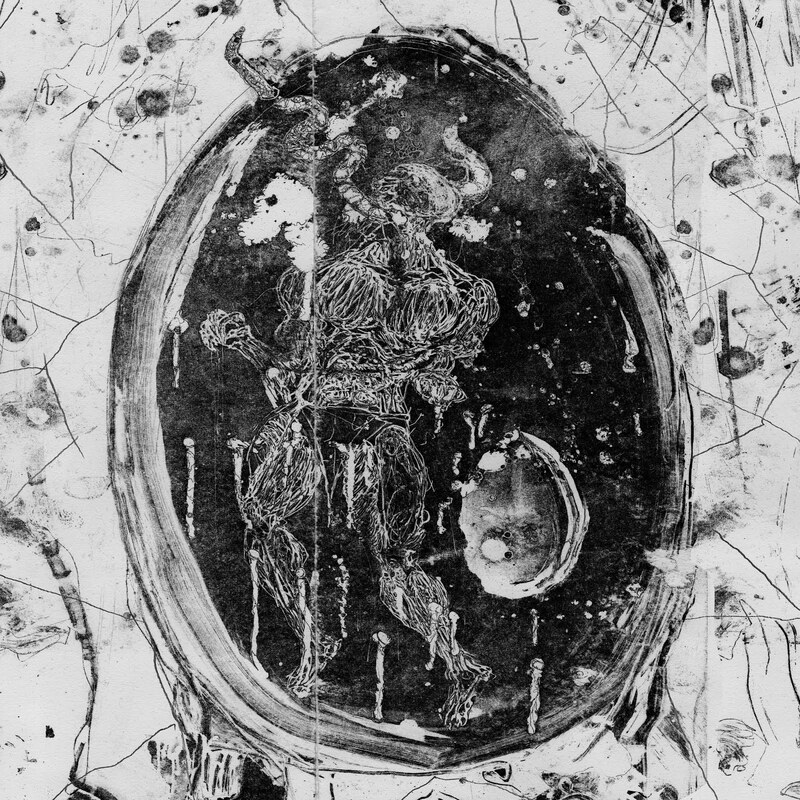 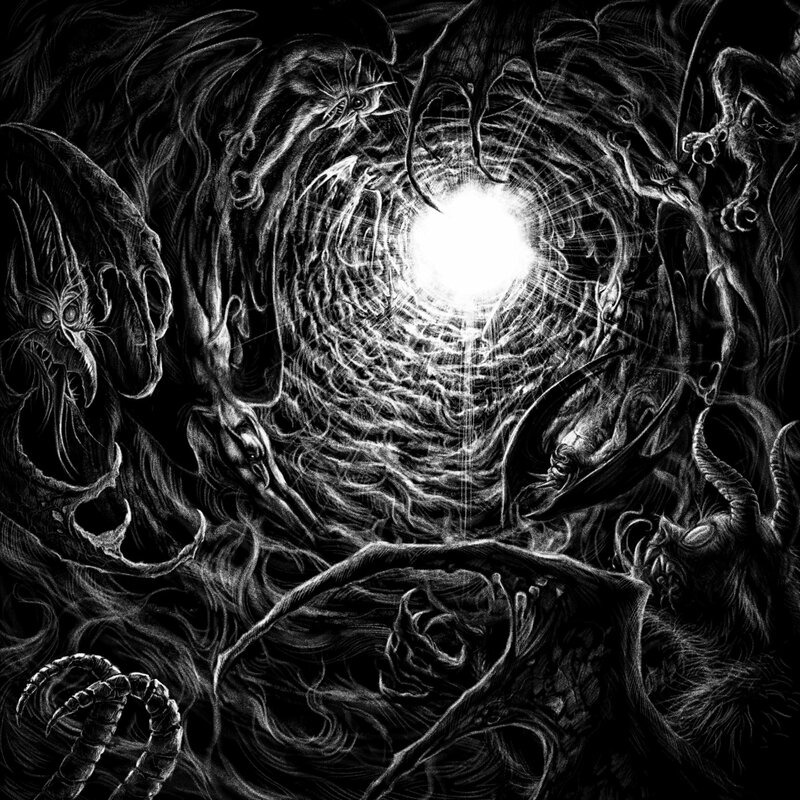 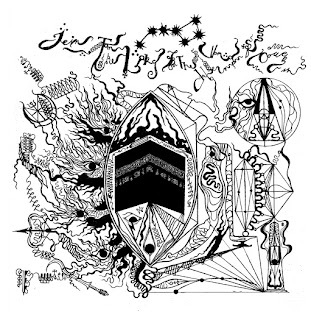 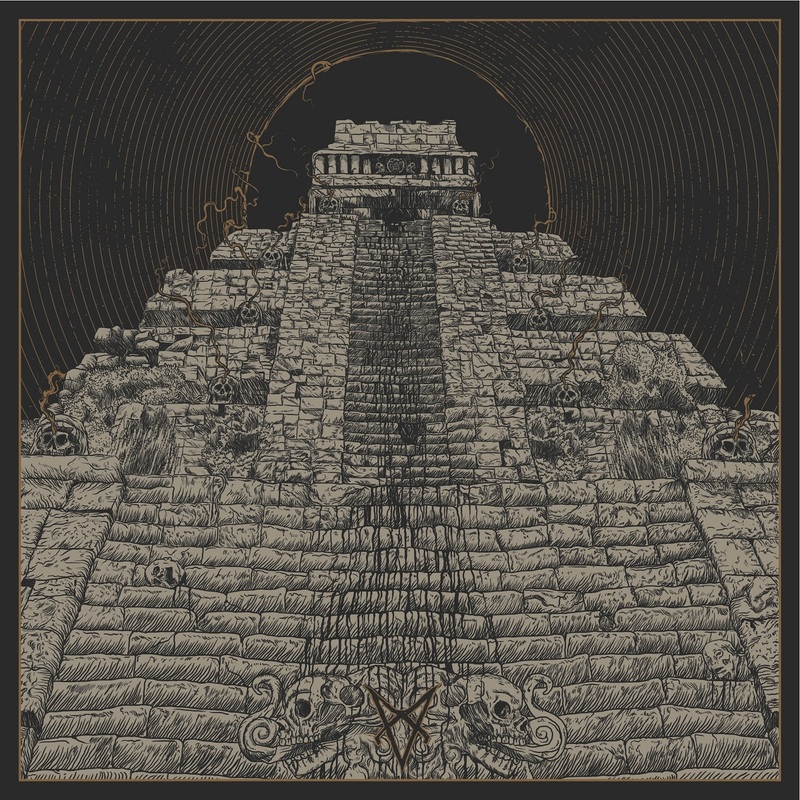 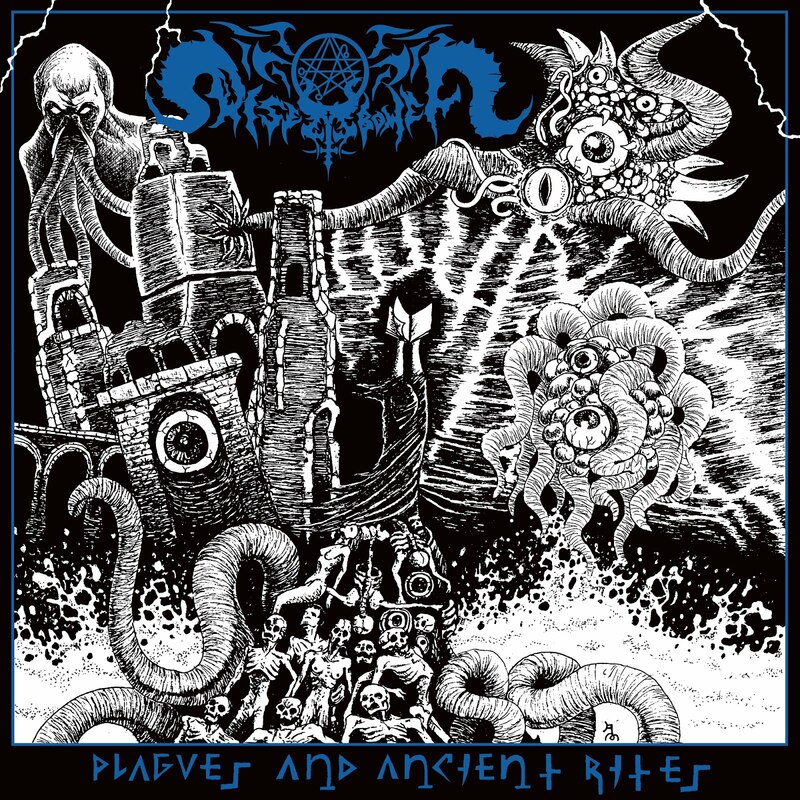 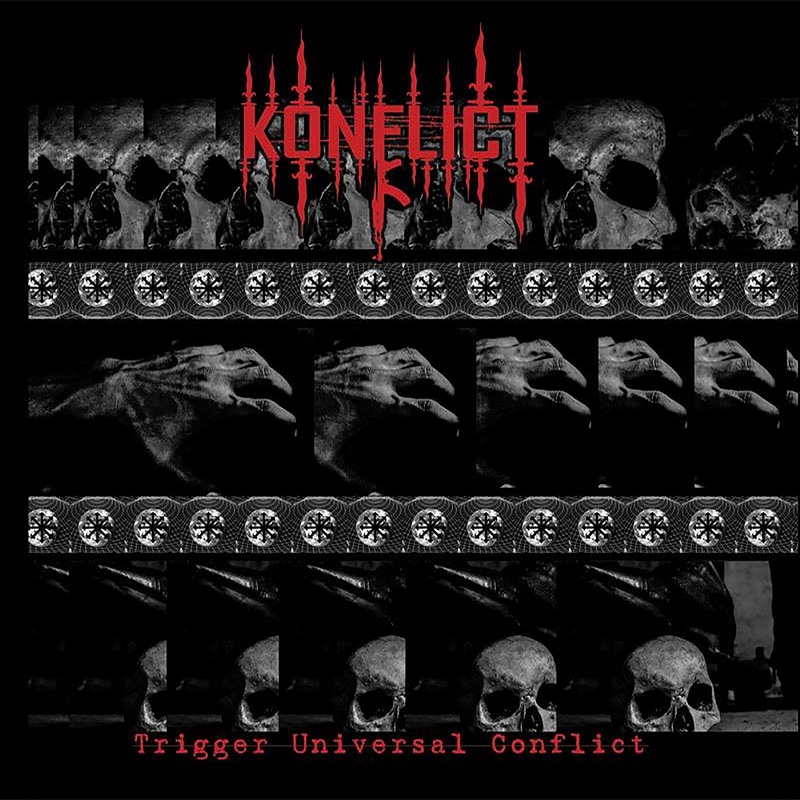 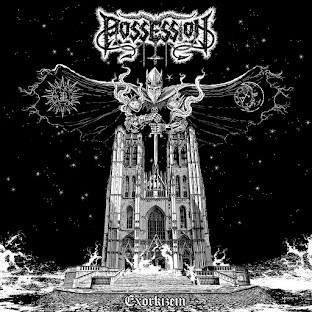 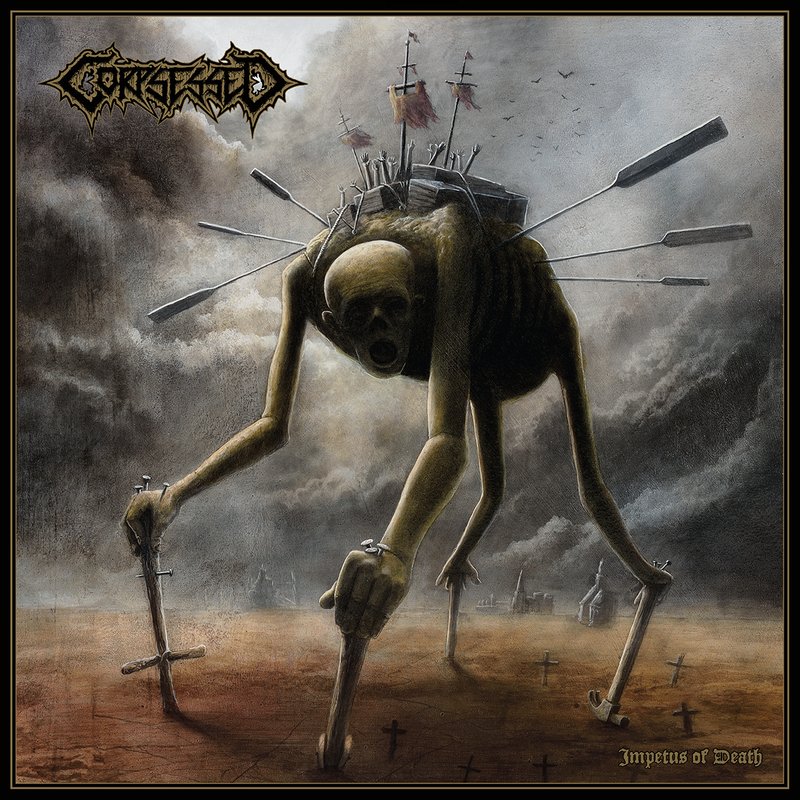 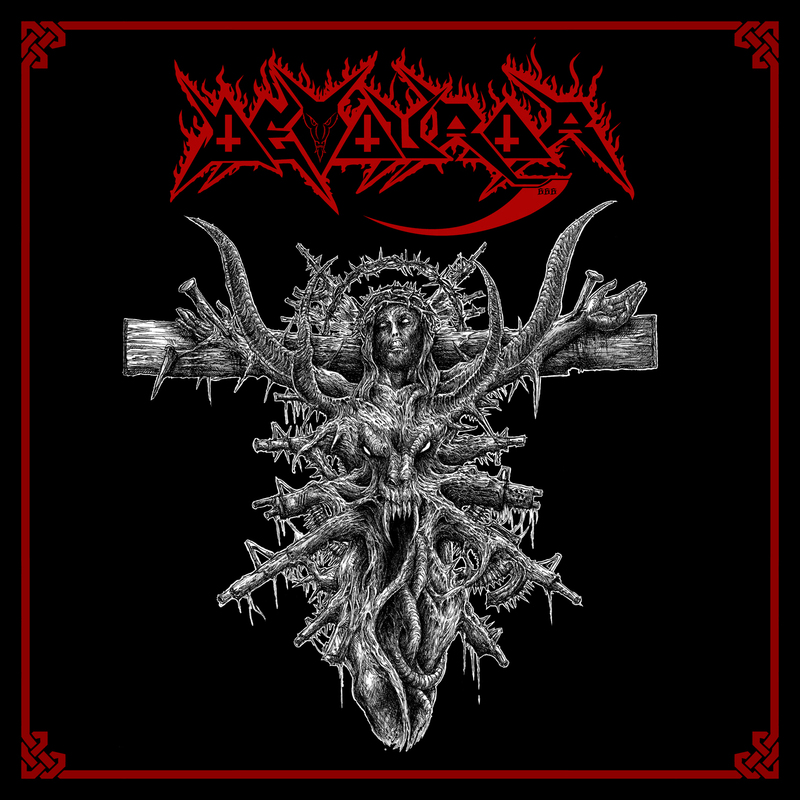 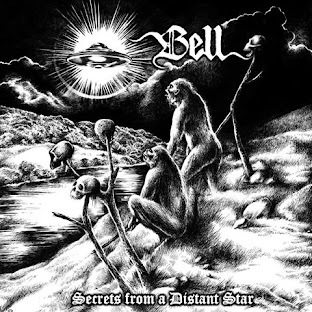 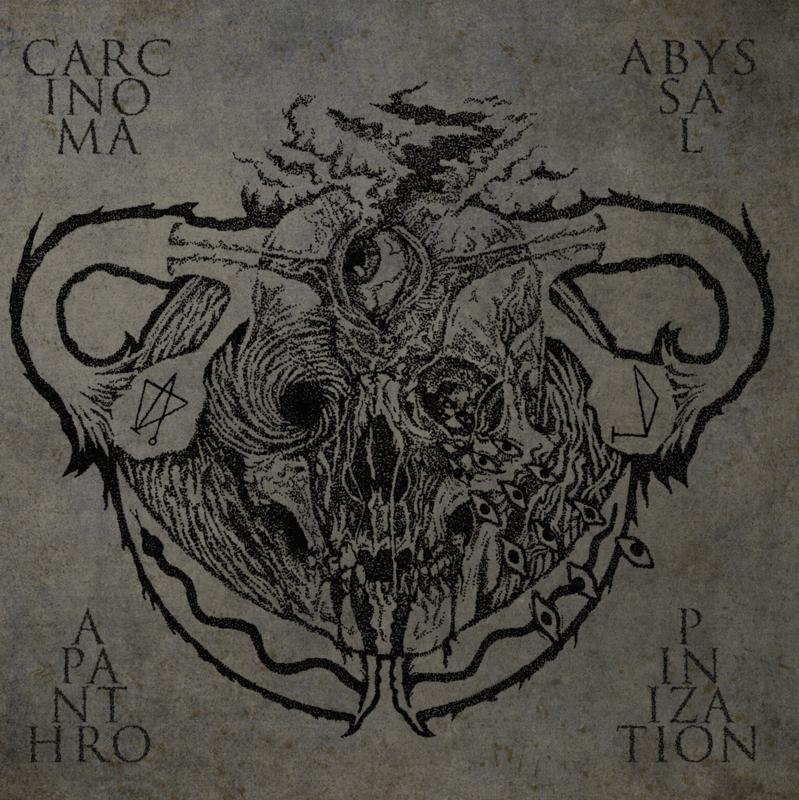 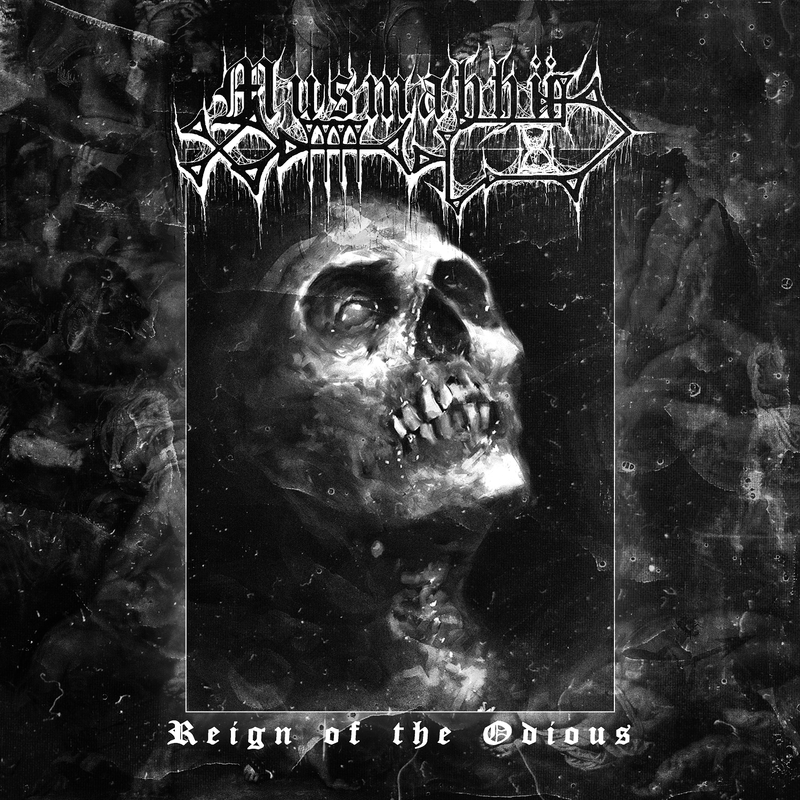 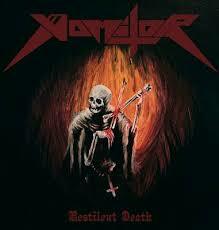 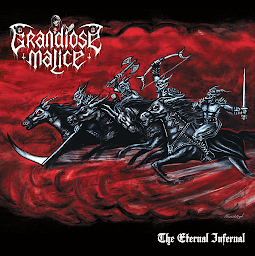 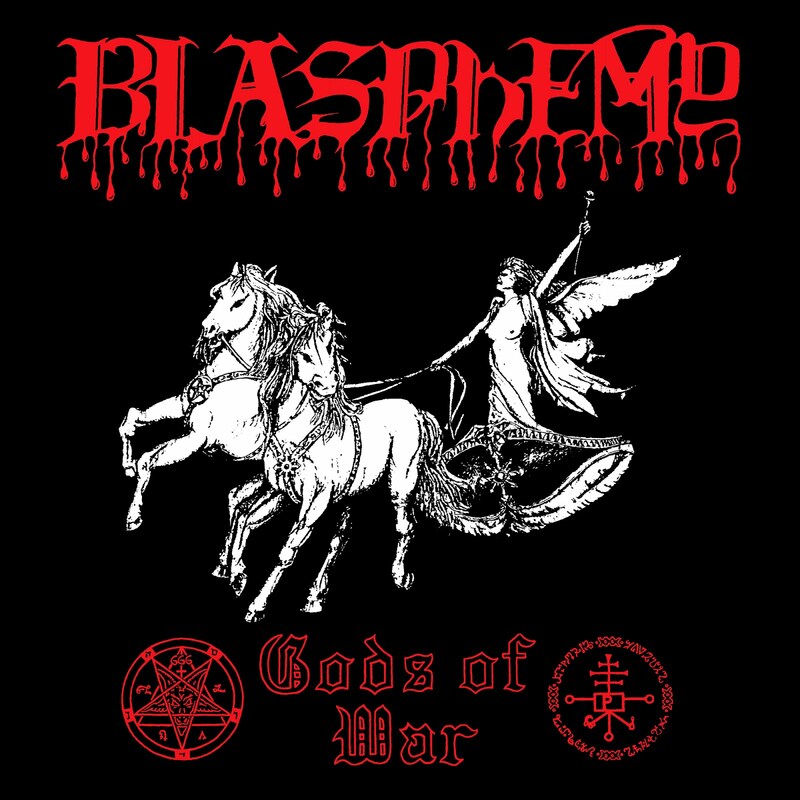 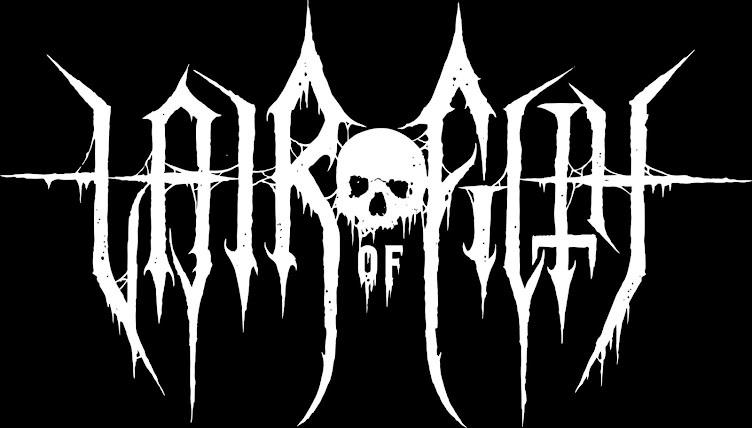 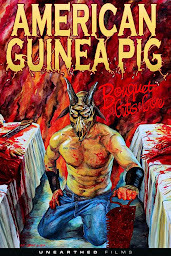 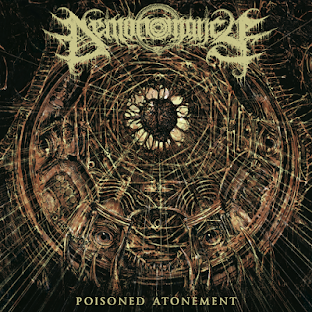 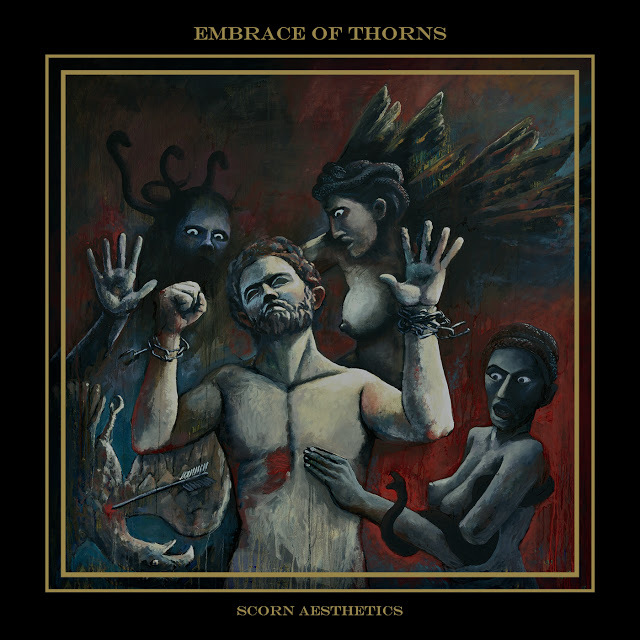 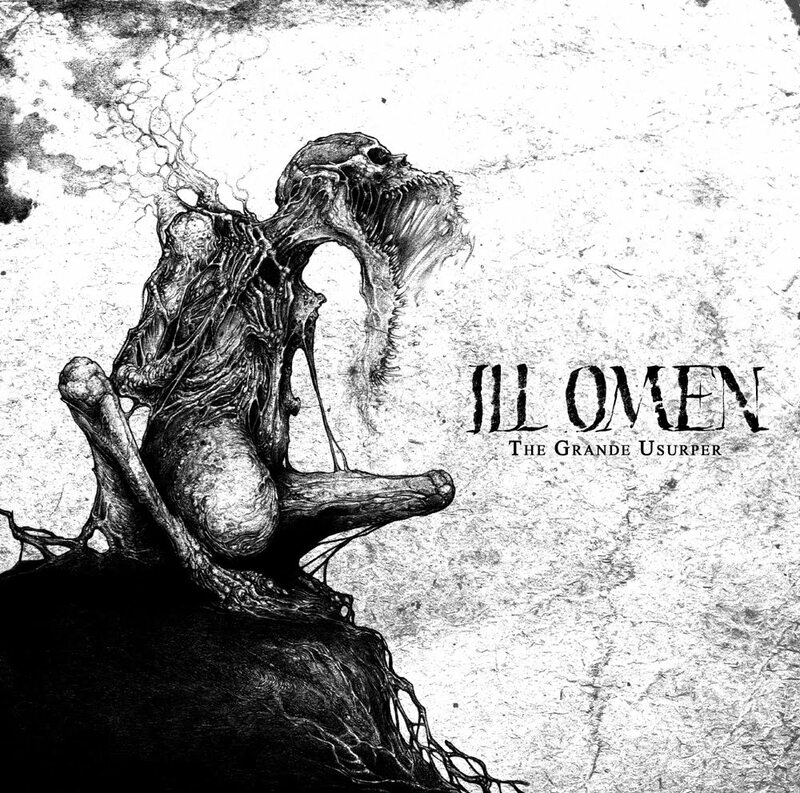 Part of this album’s appeal is the variation in sound, a factor illustrated by opener ‘Graven’ and continued throughout the album’s duration – whether it’s the dark ambience of tracks such as ‘The Murderous Victor (Commune 3.2)’ or the all-out death metal from the likes of ‘Adrift in Sepulchral Entropy’ the music is both varied yet totally immersive throughout. 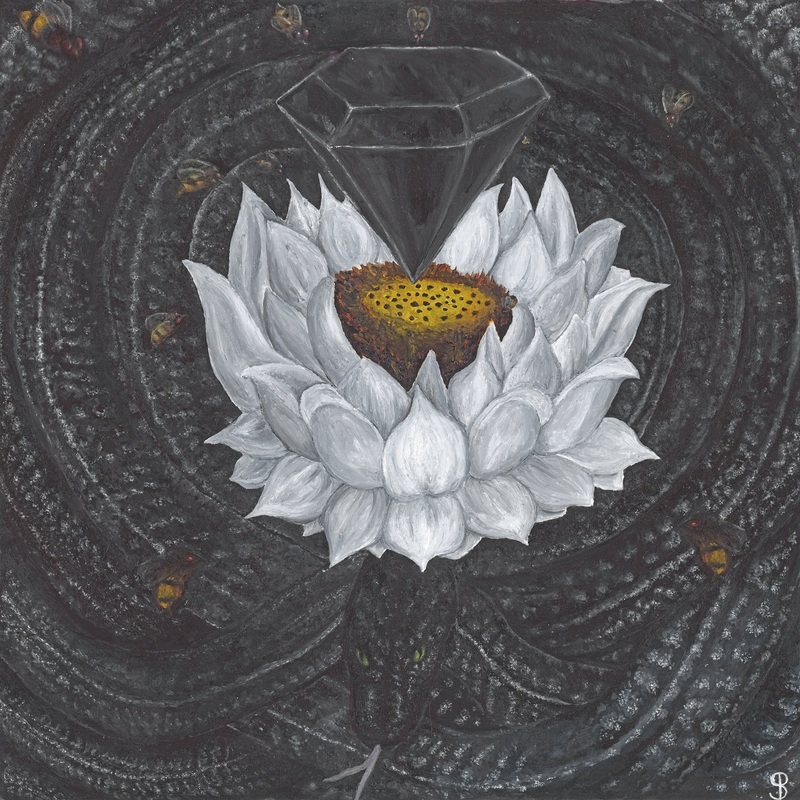 Whilst the album was written by Temple Nightside’s Australian contingent the bass was written and performed by VK and at times you can hear subtle similarities with Vassafor’s music and tempos which is not a bad thing in the slightest – track four, ‘Fortress of Burden and Distress’ and track seven ‘Tempest’ being examples where I could occasionally hear these subtle similarities. Whilst Death Metal remains central to the music it’s the variation in dynamics and the fact you’re steeped in atmosphere from beginning to end that not only keep things varied and original but also help discern Temple Nightside from many of their peers, this music is simply head and shoulders above a lot of what you’ve heard and will hear this year and their ability to flit from tempo to tempo without losing any atmosphere is to be saluted. 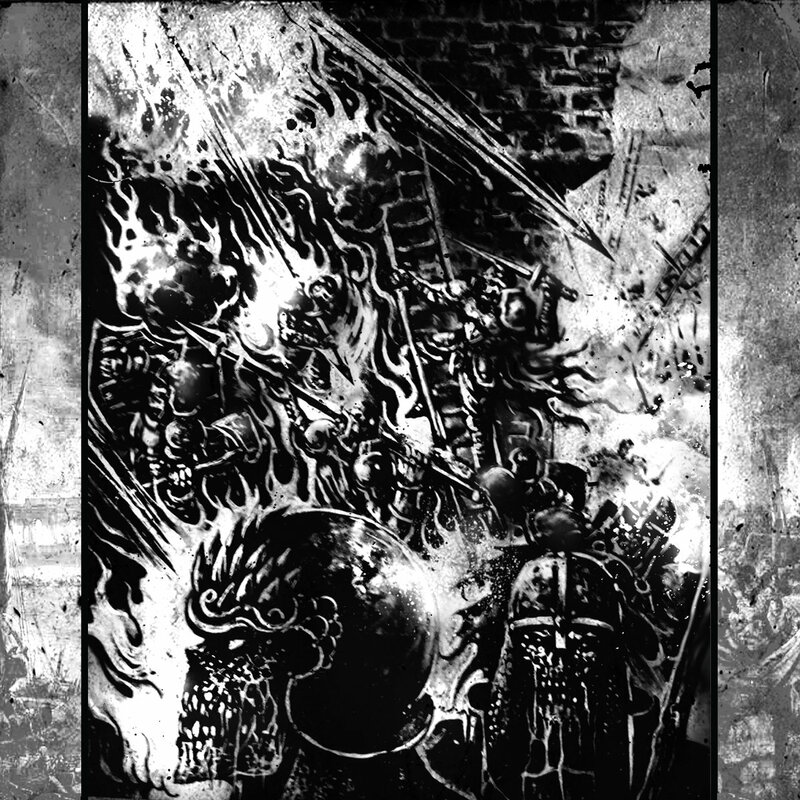 Iron Bonehead Productions is promising to be as prolific as ever this year and this is the first of three releases that I’m waiting for with a degree of excitement, the other two being Bolzer’s debut full length and a new full length from Vassafor, which it’s hoped will see the light of day before the year’s end. 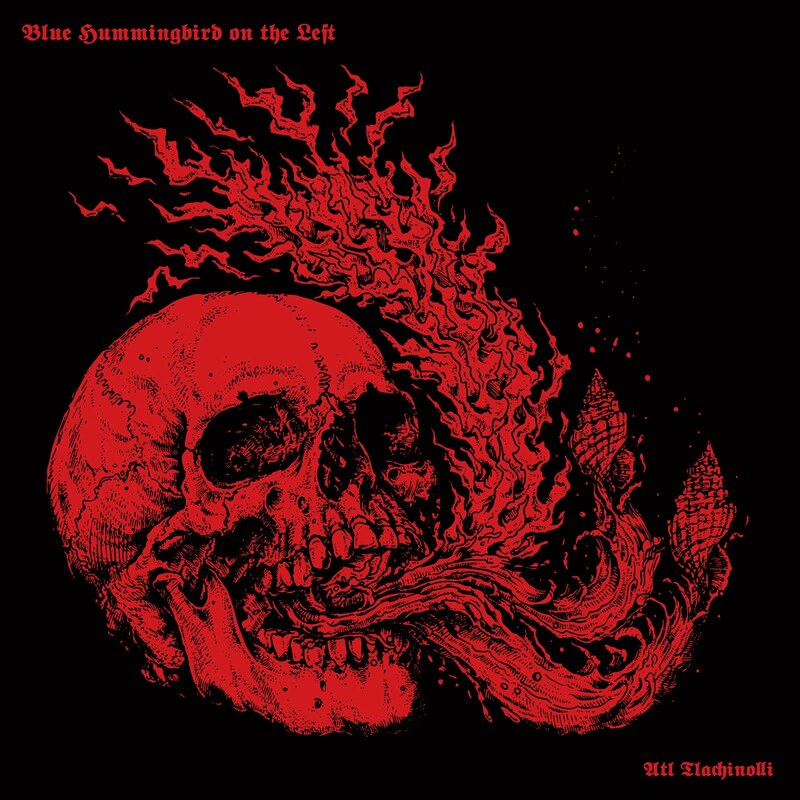 Rest assured, if the other two releases are as good as this it’ll get very busy with Iron Bonehead titles at the top of my 2016 top 25 album list. 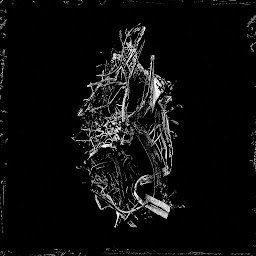 For good measure throw in a Possession full length that’s tentatively scheduled for late 2016 / early 2017 and we’re in for some exceptionally good music from this label (as always) and that’s before we even consider the rest of their high standard release roster for the remainder of the year. 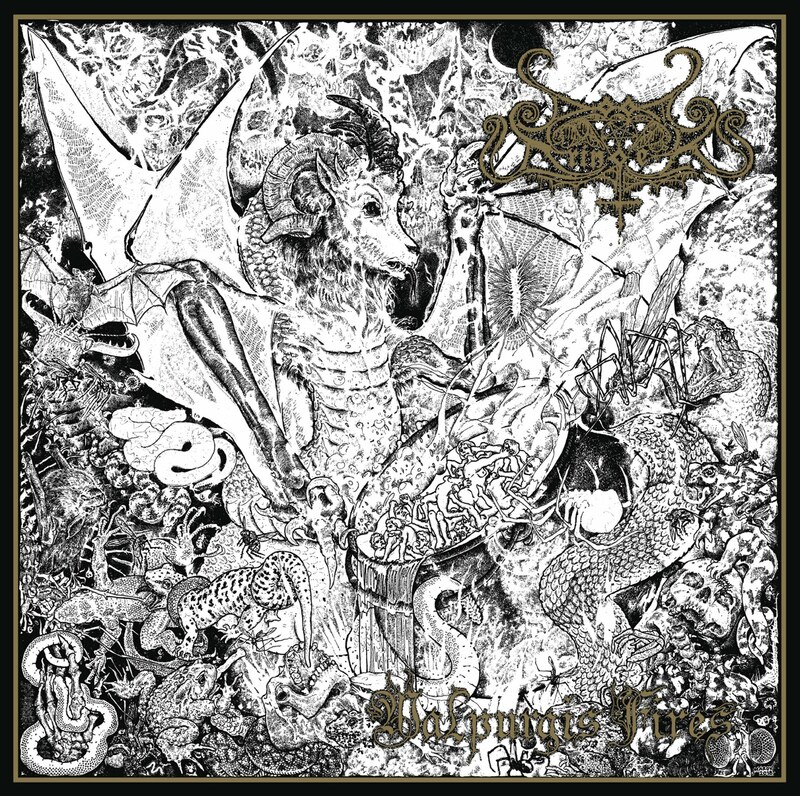 Also worth note is the Vassafor / Temple Nightside split LP ‘Call of the Maelstrom’ is due a repress via Iron Bonehead Productions in the coming months – testimony to both the standard and demand for the quality music it features and a totally essential purchase if you don’t already own it. 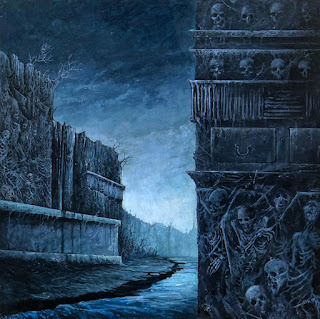 With ‘The Hecatomb’ Temple Nightside has brought us one of the best albums you’ll hear this year, but don’t just take my word for it, just give preview track “Adrift in Sepulchral Entropy a listen below and you’ll know what I mean. 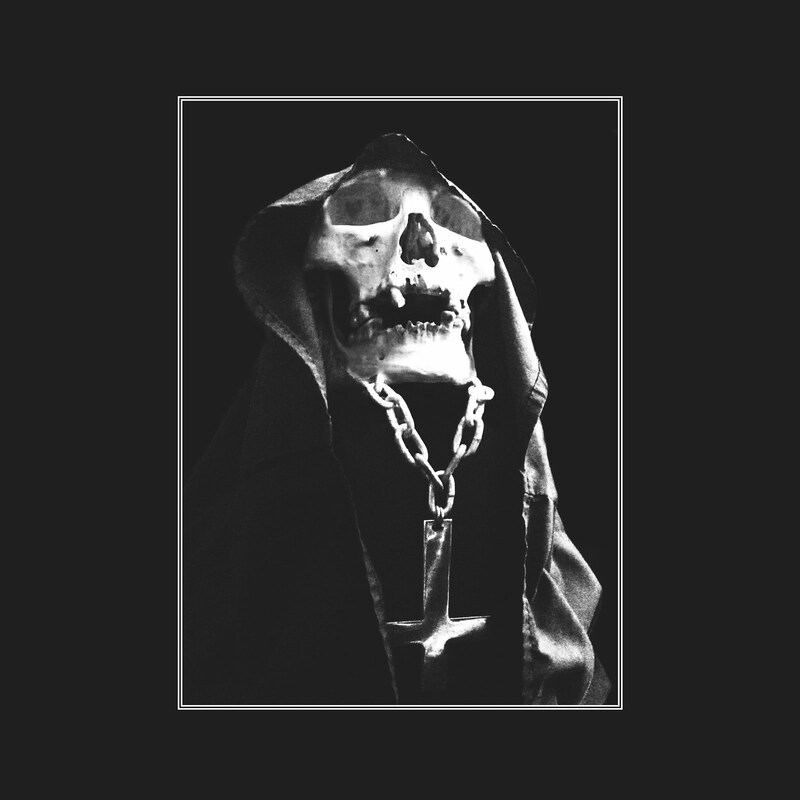 Temple Nightside’s finest hour to date and one of the easiest 10/10’s I’ll ever award. 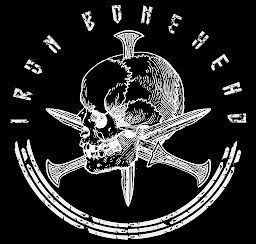 A number of Temple Nightside hoodies, t-shirts and previous releases are currently available from Iron Bonehead Productions. 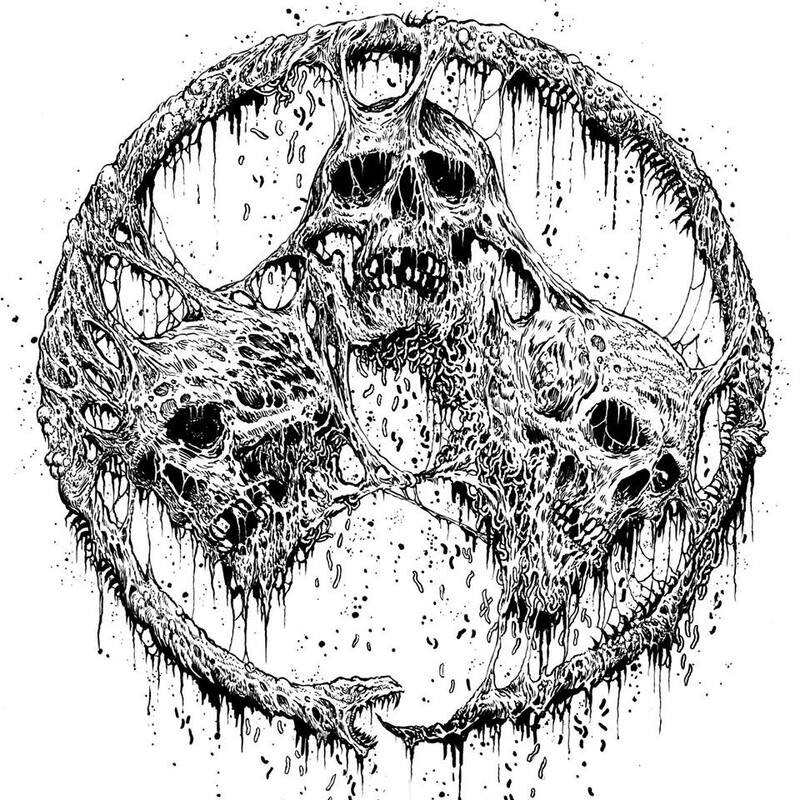 'The Hecatomb' will be available on CD and LP from Iron Bonehead Productions at the start of August.